In mid-2009, after I finished my Honours thesis and graduated with a Bachelor of Arts, a friend and I spent three months backpacking through Europe. We spent most of our time in Eastern Europe, heading southeast from Germany after a week in Russia. When we made it to the Czech Republic, in between tourist activities like exploring Prague Castle, watching the intricacies of the famous Astronomical Clock in the Old Town Square, eating delicious food (and drinking rather unpleasant spirits), I dragged my friend – she’s hardly a cinephile, and had no clue about my quest – on a trip to the suburbs in search of Jan Švankmajer. From what I remember, we took several buses and walked through many streets to find the surrealist art gallery space Švankmajer ran with his wife, artist and collaborator Eva Švankmajerová. (It may not have been that long a search, after all, but we had to grapple with a compass and map to find our way.) We found it eventually, some way up a sloped street, its sandy red walls standing alongside two or three varying styles of cobblestone. The sun was searing that day, and the heat was stifling; a photograph I still have shows me in an all-black ensemble – short shorts and a tank top with dark sunnies – gesturing a peace sign at the camera. I look happy, but I was actually really devastated; a hand-written note stuck in the window of Gambra, their gallery, said something about August 2nd. Closed for summer holiday, until that date, perhaps? The note was written in Czech, and it was only mid-July. In June 2018, back in Melbourne, I attended the Wonderland exhibition at the Australian Centre for the Moving Image, the venue at which this year’s CaSFFA is being held. In the exhibition, actual dolls from Švankmajer’s filmic version of the tale were on display. I found their presence eerie, unsettling, due to something of an inversion; these inanimate dolls that I knew from their uncanny animations in Alice (Něco z Alenky, 1988), were right in front of me, available to be touched, and they were inanimate. I climbed onto an oversized chair to peer into a miniature wood-panelled house, a two-dimensional digitised Alice peering out the window frames with a heavy curiosity. Other grotesque figures were present in the exhibition, the degenerated animal skeletons and taxidermied bodies that become part of Alice’s surreal Czech Wonderland. These are two instances of a Švankmajer-related absence in my life. First his own, and then one that was sort of, in a roundabout way, initiated by him, a byproduct of his work. This is not so much a story about Czech and Slovak cinema, but part of my personal cinematic history. I first fell in love with Švankmajer’s films as an undergrad, first seeing Alice and then devouring whatever other short films I could find – Meat Love (Zamilované maso, 1989) a distinct favourite. 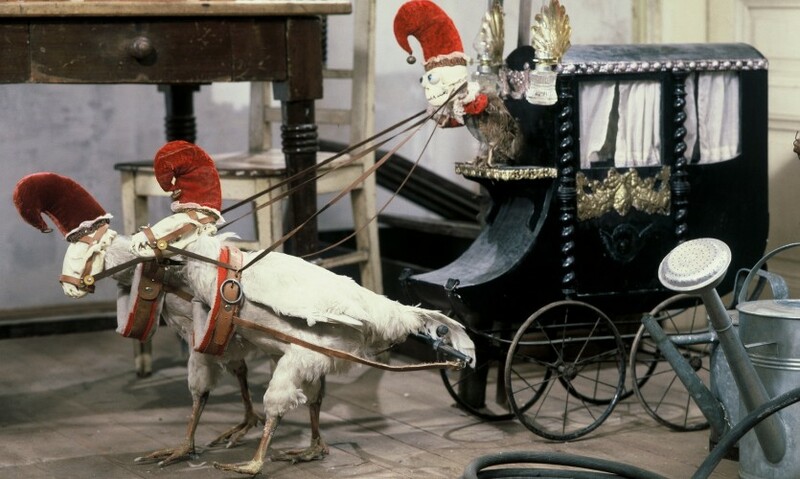 While there are no Švankmajer films in this year’s festival, and I haven’t seen a new one in quite a while, his work will always be connected to my love of the Czech and Slovak cinema region. 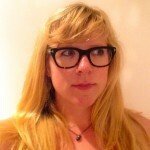 Eloise Ross is a co-curator of the Melbourne Cinémathèque. She has a PhD in cinema studies from La Trobe University specialising in sound and embodiment, and writes and teaches about film. She is a co-host of the Cultural Capital podcast.